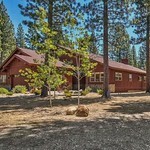 FeedBack ( 0) This exquisite town-home is situated in the sought after community of Whitehawk Ranch, within an hour from Truckee and Reno. This inviting home offers a bright and open living space that comes tastefully furnished and features recent upgrades, which include travertine flooring in entry and kitchen, granite countertops and fireplace surround, stainless appliances and modern lighting. This turn-key home beckons you to relax and take in the beauty that Whitehawk Ranch has to offer. Activities at Whitehawk Ranch include golfing, tennis and bocce ball courts, a picnic gazebo, a community center and library for meetings and social events, as well as a member funded exercise room and equestrian center. See www.carolmurrayrealtor.com/ about this home.